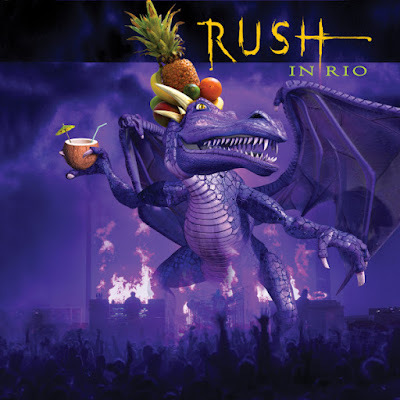 Rush will release the vinyl debut of their 2003 live package, “Rush In Rio”, on January 18, 2019. Co-produced and mixed by guitarist Alex Lifeson and James Barton, “Rush In Rio” was originally issued on CD and DVD, but has never appeared on vinyl – until now. The 2019 release is presented in a heavyweight gatefold jacket and comes with a code that allows the music to be downloaded digitally (see track list below). The 2003 DVD package has been certified 7× Platinum in the US with over 700,000 copies sold.